The hi-tech industry, as a whole, is growing on a daily basis worldwide. In a world of advancing technologies, even the term ‘hi-tech’ encompasses a wide range of smaller industries, from robotics and automotive, to aerospace and computer science. This technology is working for us on a grand scale, as well, from the smartphones in our pockets to major historical technical innovations. The technology behind this growing industry comes from competitive leading software developments, ever-changing based on the increasing abilities given and created through technology. The hi-tech industry might be the world’s largest user of IT applications and software development productions. Without constant movement forward in this industry, many day to day functions would be at a stand still, and technology would essentially stop making leaps and bounds in advances. With the importance of productions in robotics, for example, that have now been tested to help in emergency situations, we may never be able to fully keep moving forward as a society. It’s hard to think of a world at this point without something like robotics, or telecommunications, or even nuclear physics, but all of them depend on IT software on a daily basis. In reality, the hi-tech industry keeps our entire planet, and even outer space, progressing to be the best possible world (and galaxy) it can be. It continuously prepares generation after generation to keep making advances, keep moving forward, and keep doing better, and behind the curtain of it all is the IT sector. How Innovare delivers business value? Innovare provides the needed technology for even the highest of advanced, hi-tech industries. 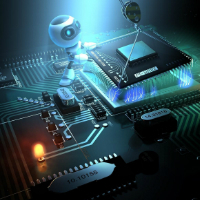 With state of the art IT experts and technology within their own reserves, Innovare is able to keep up with the needs necessary for hi-tech industries to stay on the cutting edge. Innovare’s team of skilled professionals is always at the ready to deal with each client and each industry on an individual basis. Hi-tech industries are unique, and deserved to be treated as such, with quality service and consistency. Taking the time to pay attention to each detail, Innovare specialists recognize the importance of clarity and accuracy when it comes to the hi-tech world, and ensures accuracy in an extremely efficient fashion.